East Coast Challenge: Who Can Provide Affordable Housing for Single-Parent Families? As we keep saying, affordable housing is one area where philanthropy can and should be doing a better job. This is a huge problem in the lives of millions of Americans, with significant spillover effects, in terms of the impact on kids' education and family well-being. Yet remarkably few national funders operate in this space in a major level. You can see why, too. The scale of economic and demographic forces driving the housing crisis make this is a challenging issue for philanthropy. One corporate funder long focused on housing is the TD Charitable Foundation, which supports local affordable housing efforts in both New York and Florida. But now we’re seeing a unique opportunity from the bank's philanthropic arm that pretty much the entire East Coast can get in on. 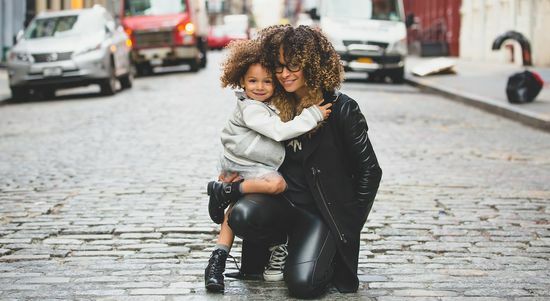 TD recently announced that it is prepared to commit $2.5 million in grants still this year for a very specific housing cause: single-parent families. This is part of the funder’s 11th annual "Housing for Everyone" grant competition, which is its signature grantmaking program that extends from Maine to Florida along the East Coast. So why are single-parent families the focus of this year’s East Coast competition? Although single moms make up the majority of single-parent households, TD is looking at the issue more broadly to include homes led by grandparents, fathers, and guardians too. The goal here is to find local nonprofits that can successfully provide safe, clean, and physically-accessible housing for families headed by any one individual. To get one of TD’s 25 $100,000 single-parent affordable housing grants, you’ll need to focus on your proposal on one of three things. The funder is looking for groups that can preserve, rehab, or expand existing affordable housing units that are still viable, as to not totally start from scratch if it's not necessary. In addition to upgrading current facilities, you can also pitch an idea to utilize an abandoned property to create new units. Urban, suburban, and rural areas are all fair game. Finally, grant proposals should focus on the other needs of single-parent families that accompany housing, such access to doctors, schools, day care, parks, and public transportation. The deadline to apply for these grants is September 2, and the application process is all online. For more information on the grant competition guidelines, see the funder's website. Foundation decisions will be announced by mid-November. In addition to affordable housing, this bank funder also supports financial literacy and the environment. It has made $157 million in charitable donations since its inception in 2002.